1800. 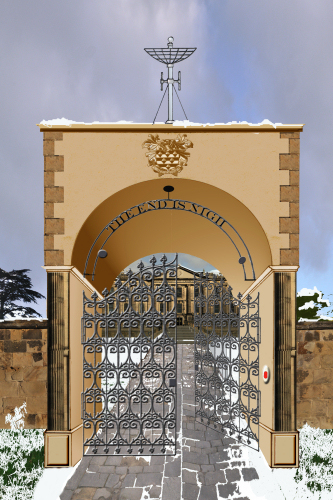 Alfred Simon travels into the future, seeking a cure for the madness of King George III. When he returns, he finds his own journey has brought about the end of the world. Time is now doing its own travelling, with apocalyptic results to follow! With the future dead and buried, Simon makes an attempt to save the past. But before he can act, he is interrupted by a visit from John Crustacean, one of the most chaotic professors Oxford ever produced. Crustacean has with him a strange artefact. When Simon uses this to contact an alternative time stream, he hopes to make the end of the world less nigh. But in order to do so, Simon and his newly discovered other self must become the first atheists to create a universe! The story will conclude in a second volume, "Crustacean's Dream". This story has been rewritten twice since it was first �completed� in 2007. Along the way I�ve had help from many people � advice, appreciation, encouragement � but the outstanding debt of thanks must be to Sylvia Boe Edwards, lifetime teacher (and appreciator) of well written English. I got to know Sylvia just when I thought I had finished, but in a few days she showed me I had only just begun. If you enjoy the plot and the characters, they remain as they were. If you think the book is well written, take a moment to thank Sylvia, now no longer with us. She set out to teach me how to edit for myself, and rested from her work convinced she had done so. The sequel to Simon's Mews, "Crustacean's Dream," remains to be edited. I expect to finish this some time in 2011. "Crustacean's Dream" will complete the story begun in Simon's Mews. 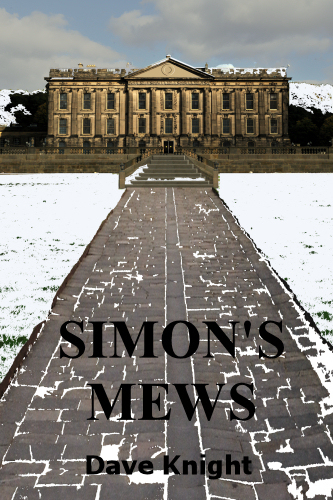 I also have clear ideas for further stories using some of the same characters; whether they are acted on depends mainly on whether Simon's Mews attracts a publisher. Before I resume the novel, I hope to make progress with my children's story, "Bung the Gnome Detective." Bung is a garden gnome who gets framed for the murder of Clock Robin, so he becomes a detective in order to clear his name. Along the way he meets a series of idiotic situations and characters, all of which seem to have been designed to exasperate him. This is already about half written. If the story proves popular, I have plenty of new infernally exasperating sequels dreamed up for Bung. Regretfully the 'Gawain' story (see The Arthurian Project) now seems fated to become a prose project rather than an epic poem, as originally intended. The length, depth and complexity of the story has become too great to consider completion in the manner of 'Aurorielle'. When I have completed "Crustacean's Dream," it will be interesting to see how writing two novels has affected my approach to writing a new version of 'Sir Gawain and the Green Knight'. I've been asked several times if I'd like to write a 'coffee table book' combining my photography with background writing. The answer is 'yes', but it is much easier to make a start if someone gives me a firm proposition with a guarantee of publication. In the meanwhile, I will keep gathering material.